Atlanta Motor Speedway has made purchasing tickets for its two summer racing series events easy and convenient for all attendees. 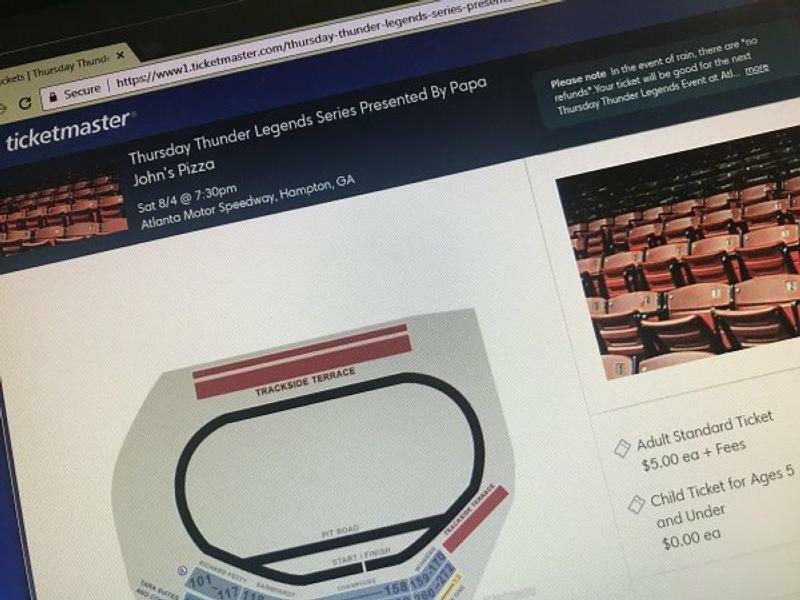 Tickets for Thursday Thunder presented by Papa John's Pizza and the O'Reilly Auto Parts Friday Night Drags can now be purchased online at atlantamotorspeedway.com. "Digital and online ticketing has become the new norm, said Atlanta Motor Speedway President Ed Clark. "We want to provide our fan is the most convenient and modern way to purchase tickets to our events." 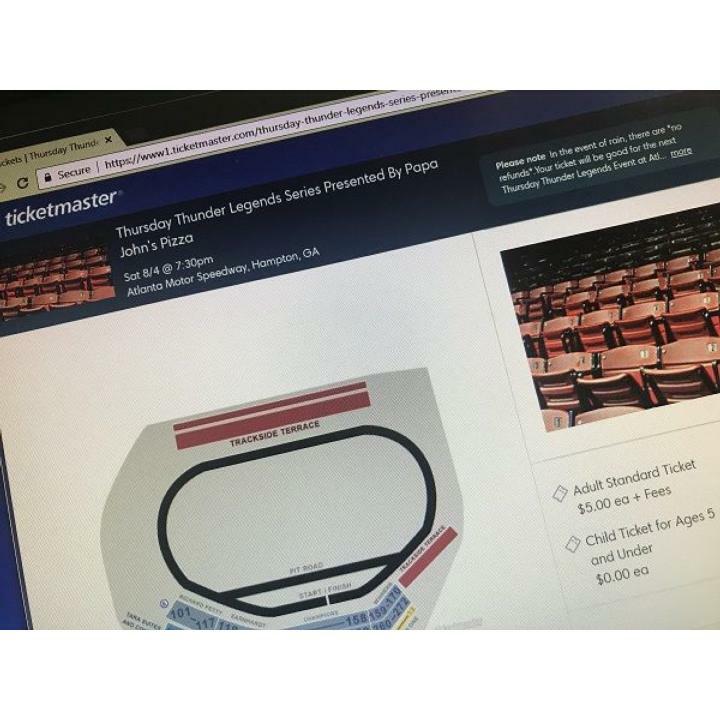 Tickets for both summer series racing events at Atlanta motor Speedway, Friday Night Drags and Thursday Thunder are available for purchase and immediate download for the first time online providing fans a convenient way for a small one dollar fee to secure their tickets in advance and avoid the lines at the ticket booth on race days. Patrons will have the option to utilize Ticketmaster's print-at-home downloadable ticket option or have their ticket delivered right to their smart phone for mobile entry at the gates. Tickets will still be available for purchase by walking up to a ticket booth prior to each event. Fans can utilize these new ticketing conveniences immediately with the first events available online being both of this week's racing events - Friday's O'Reilly Auto Parts Friday Night Drags as well as this Saturday's special edition Championship Night of Thursday Thunder presented by Papa John's Pizza. The 2018 Thursday Thunder presented by Papa John's Pizza season culminates with a special-edition Saturday Championship Night this weekend on Saturday, Aug. 4. Grandstand admission for the affordable, family-friendly Thursday Thunder Legends Series Presented by Papa John's Pizza cost just $5 per person, with kids 5 and under admitted free. For more information on Thursday Thunder and Friday Night Drags, contact the Atlanta Motor Speedway ticket office at (770) 946-4211, (877) 9-AMS-TIX or visit www.atlantamotorspeedway.com.